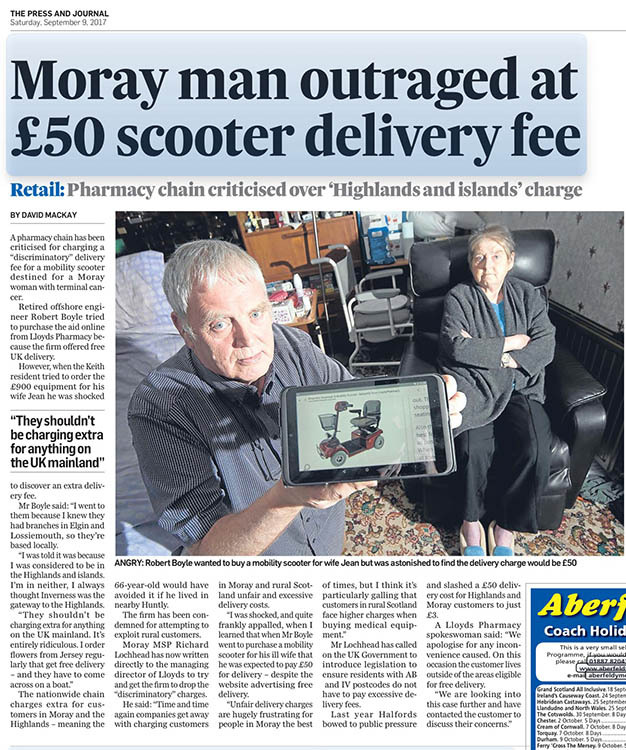 I’ve launched a campaign to stop the rip-off parcel delivery charges affecting homes and businesses in my own constituency of Moray and across Scotland. 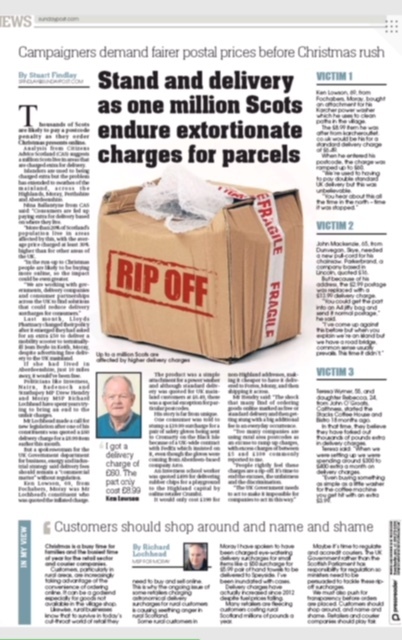 Many of the surcharges are completely unjustified. 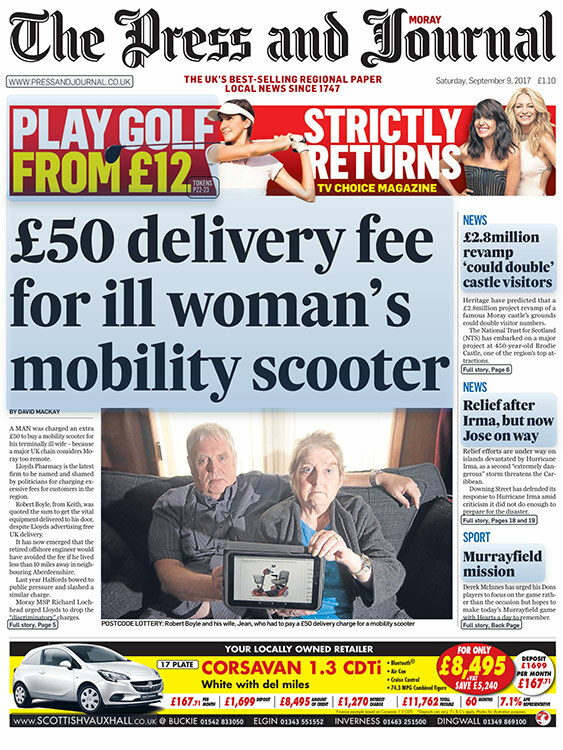 They are a “delivery tax” costing customers millions of pounds in extra costs others don’t have to pay. There is no consistency in how they are applied and calculated. Some retailers offer free delivery or apply modest surcharges. Other retailers apply eye-watering surcharges for even small items. 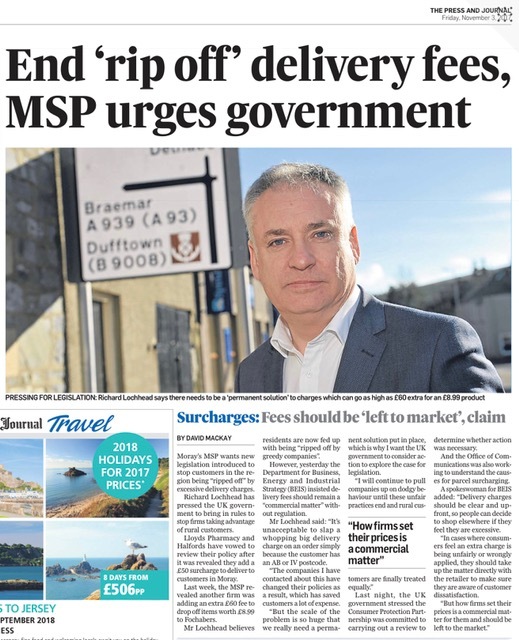 And the idea that much of mainland Scotland does not qualify for “mainland UK” delivery rates is of course utterly ludicrous. 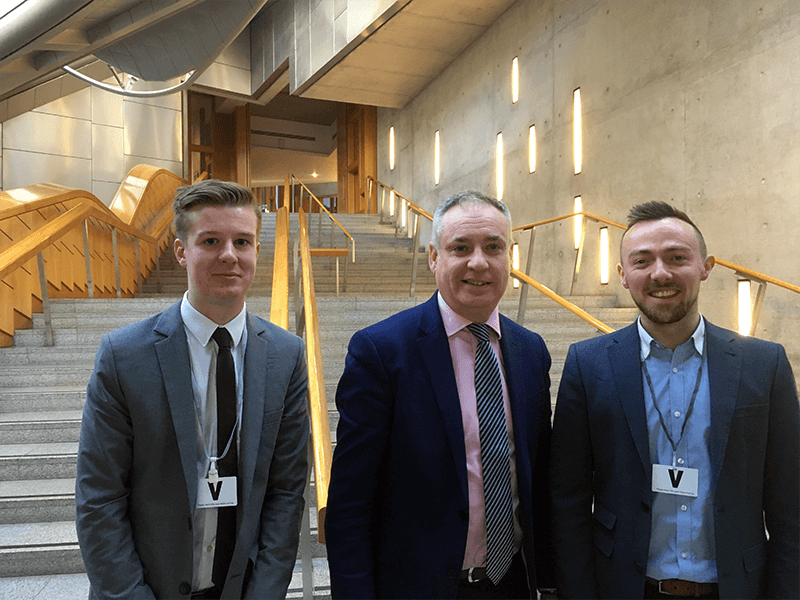 On this website you can learn about the campaign which is being supported by fellow MSPs and MPs, the media, and people from right across the country. I’m pressing the authorities for action and raising awareness of this issue. Please support the campaign by signing the petition and if you have a story to tell please share it with us. You can also follow the official campaign twitter account @RipOffSurcharge to get updates. Keep me updated with the campaign's progress. Massive thanks to everyone who has already signed our petition and shared their experiences, that’s over 100 supporters already! November 23rd — Fair Delivery Charges Campaign officially launched! 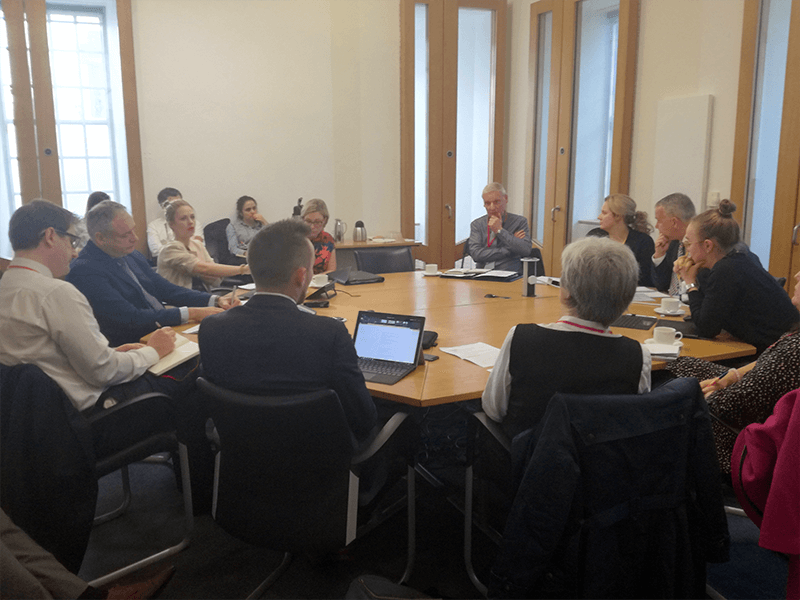 November 16th — Following FMQs, Richard Lochhead met with Ofcom in the Scottish Parliament to discuss the discriminatory practices his constituents are having to put up with then it comes to parcel delivery charges. 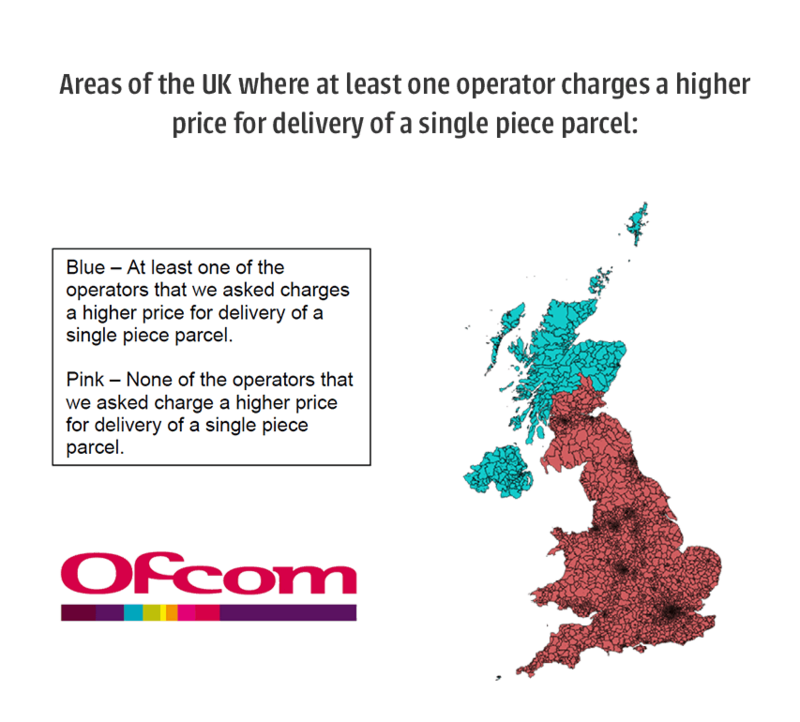 Ofcom confirmed to Mr Lochhead that they continue to research the issue but that it has proved difficult to ascertain how these surcharges are calculated. 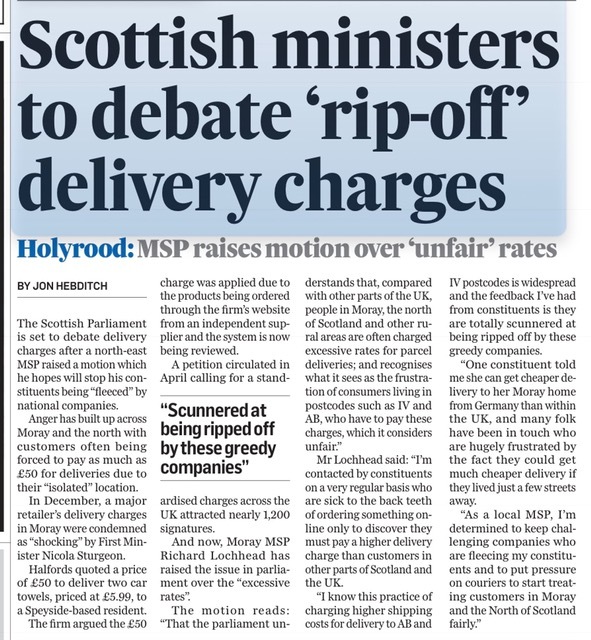 October 24th — Richard Lochhead hosts roundtable meeting with stakeholders to discuss delivery charges. Have a complaint? Who can help? If you are seeking consumer advice and believe you have been misled, you can contact Citizens Advice Consumer Service (CACS) on 03454 040506, or online using webform. Alternatively, you can make a complaint to the Advertising Standards Authority online or contact them on 020 7492 2222. 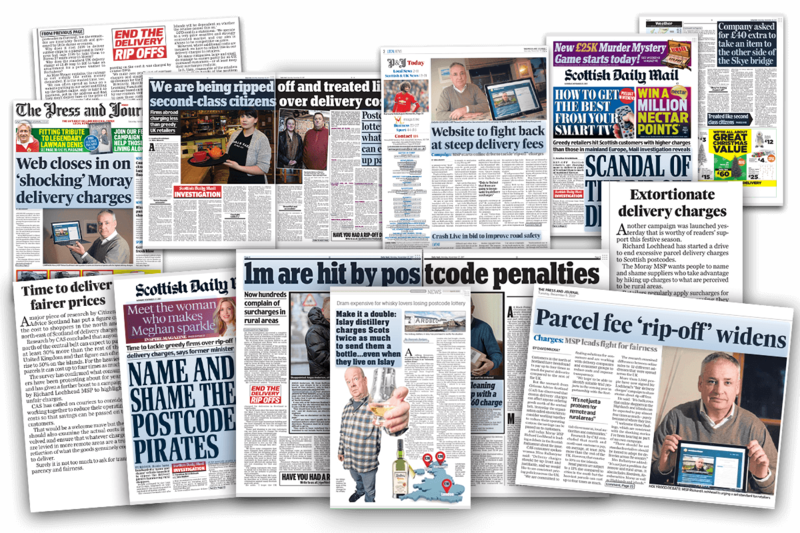 If you feel you've been misled in regards to delivery charges, speak to Trading Standards. You can email them at info@tradingstandards.co.uk. For more information, please find your local Trading Standards office here. 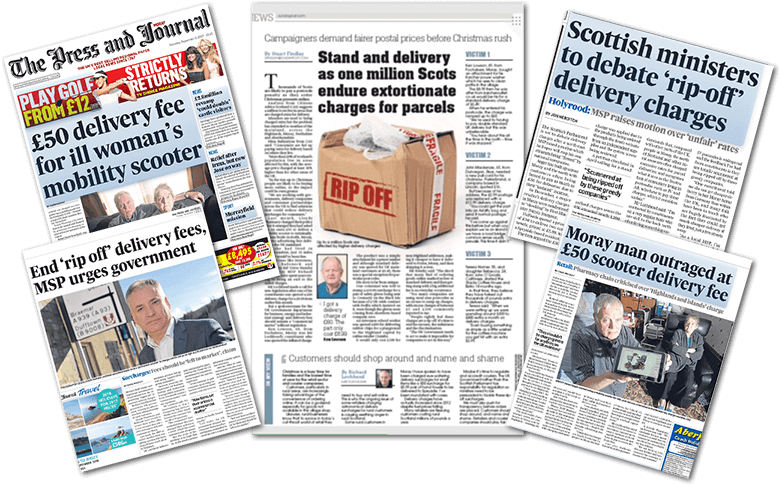 Your MSP/MP can take up your fight for you and contact couriers directly. And call on your MSP/MP to back this campaign! Find your MSP/MP online and contact them. Website designed, developed and donated by SHTC, Moray.